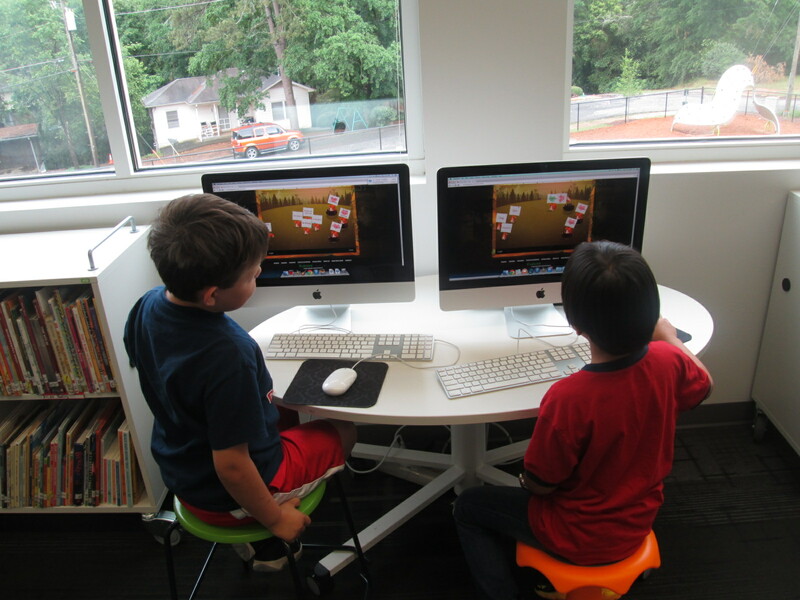 During the past school year, a small group of 5th graders began beta testing a tool called Wandoo Planet. Wandoo Planet is an interest genome project like Pandora or Netflix where students share their interests in a game-like environment. 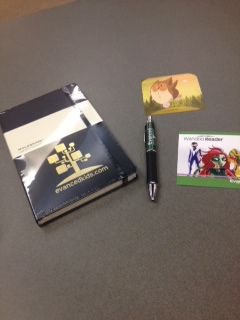 In return, Wandoo Planet offers book, movie, and game recommendations to them based on those interests. We loved this tool so much that we used it to kickoff our summer reading at the end of the year. Lindsey Hill at Evanced Skyped with every class in 2nd-5th grade and families, UGA students, and Barrow student ambassadors assisted me in getting every student signed up for an account. 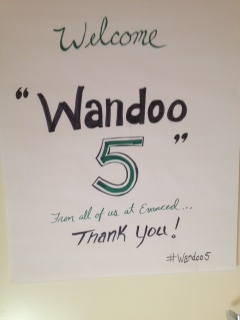 Other schools were also exploring Wandoo Planet and hosting the Banishing Boredom Tour at their schools. Thanks to some informal conversation between Sherry Gick and Rob Cullin, President of Evanced, and making our work public, 5 library leaders were chosen to visit Evanced Solutions, a DEMCO company, in Indianapolis for a Think Tank. The details of the Think Tank were really not specific, but when you have an opportunity to get together with Matthew Winner from Maryland, Sherry Gick from Indiana, Shannon Miller from Iowa, and Shawna Ford from Texas, you don’t say no and you expect nothing less than awesome! 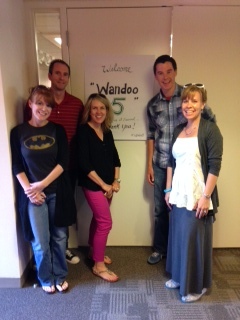 Before we even arrived, a name had been created, the Wandoo 5 (#Wandoo5). It felt like a giant signal had been activated in the sky and we were climbing aboard our planes to assemble at headquarters for a secret mission. 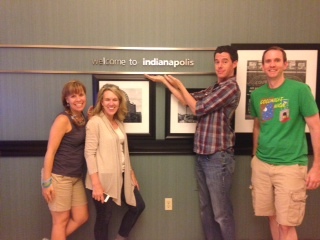 We all arrived in the afternoon on June 22 and had a chance to hangout, have informal conversations, and enjoy downtown Indianapolis. 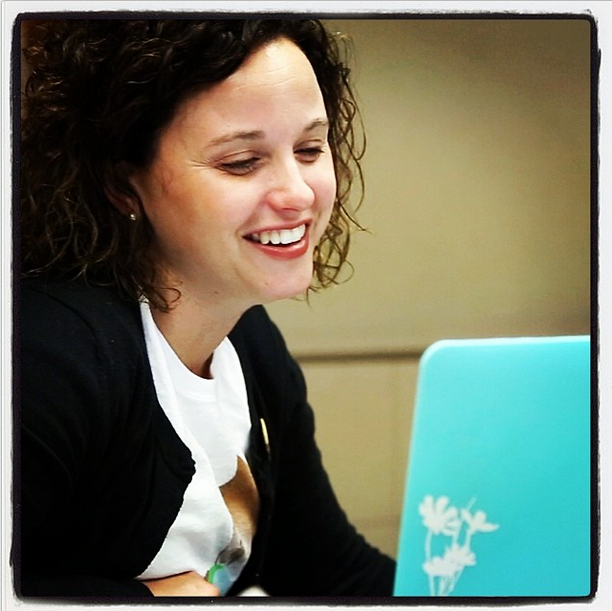 Lindsey Hill (@thelindseyhill), Reading Engagement Innovator at Evanced, made us feel right at home from the moment our planes landed and she didn’t stop even when our planes were returning us home. You can tell that the people at Evanced truly care about libraries, librarians, and especially readers. On Monday June 23, the Think Tank began. I was amazed by how we started because we didn’t start with the products that Evanced offers. 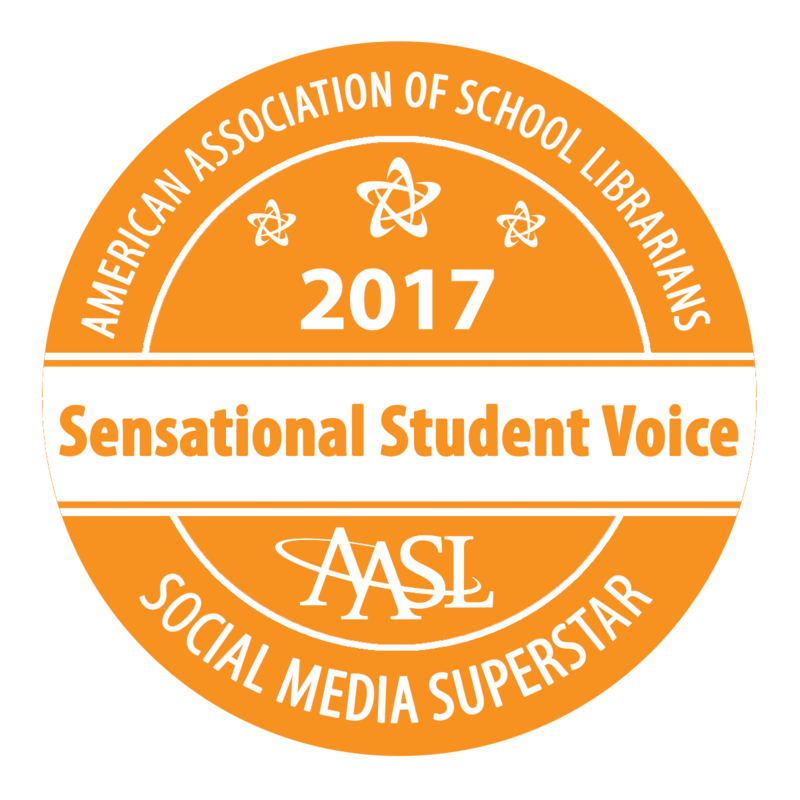 The very first question asked of us was to describe the landscape of school libraries and librarianship and to think about what some of our biggest challenges are. Where would we start? Our attention immediately turned to our students and access to information. This particular strand of the conversation went from access to quality devices to access to Internet outside of school. Our attention turned to the teachers within our buildings and the wide range of experiences and comfort levels with using and taking risks with technology. Finally our attention turned to our colleagues around the world and how we support one another. As we take risks as teacher librarians, it is more important than ever to show our work in a public way. It isn’t about always showing the polished product at the end. It’s about showing the process that it took to get there, even if it wasn’t successful. We never know who we are mentoring along the way by showing our work. It is more important than ever to build your own Professional Learning Network (PLN). We all come from a range of support systems. Some of us are fortunate enough to work in districts that are supportive of our work and have administrators that respect and value what happens in the libraries. Others don’t have that support system. 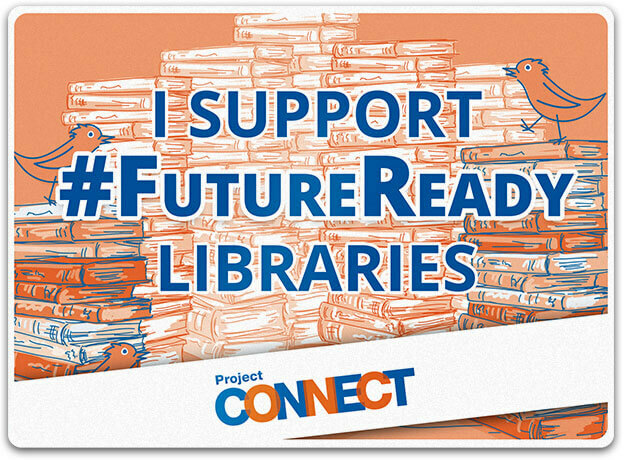 Regardless of where we are, there is a vast network of librarians ready to support us. From following #tlchat on Twitter to watching the TL Virtual Cafe webinars to tuning in to TL News Night to building your own network of librarian colleagues on Twitter or Google Plus Communities, it is more possible than ever to build your own support system that pushes your thinking and enriches your work rather than feeling like you are living on a deserted island in your school. Evanced listens! To sit there and share the landscape of libraries and the challenges we face was overwhelming, but it was nice to know that there is a company that has the word “solutions” in their title on our side. 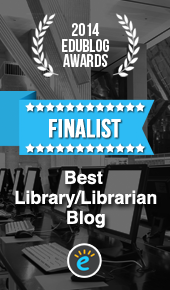 They may not be able to solve all of the challenges we face, but we at least had a voice and impact into future solutions that they may explore in the landscape of libraries and librarianship. The next part of our day was looking at the landscape of Evanced. Matt Sheley, Vice President of Evanced, shared the journey that the company took in arriving at Wandoo Planet and Wandoo Reader as solutions to a challenge. The company looked at reading data that showed a population of students who weren’t reading beyond elementary grades. 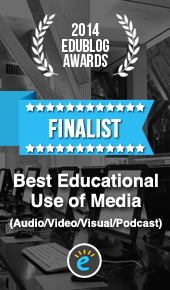 They wanted to develop a tool that connected learners with materials that resonated with their interests in the hopes that it would grow them into lifelong learners and readers. 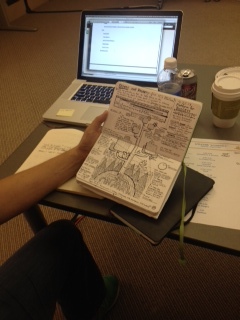 It was truly amazing to see the process from notes in a journal to the tool that we are using today. During lunch, we got to view Wandoo Reader, which is primarily focused on public libraries for now, but we had the opportunity to brainstorm what this tool might look like within a school. To me, one of the most interesting conversations centered on collaboration between school and public libraries. While we acknowledged the importance of data confidentiality, we also considered how powerful it would be if school and public libraries could share data. 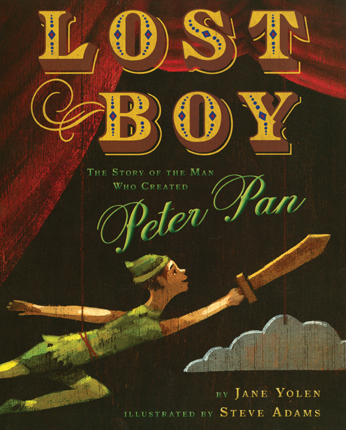 Since students mostly read based on their interests during the summer, being able to see that data as a school librarians would help us improve our collections to match reader interests as well as advise our library members on next reads. 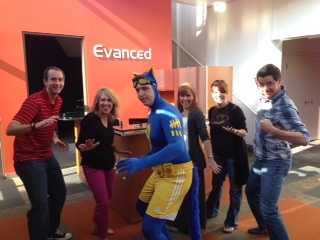 We also got a chance to walk around the Evanced office. Some parts were very quiet with coders at work. 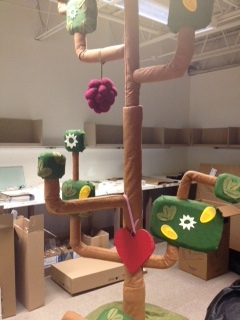 We also saw some of the displays that were taken to schools and conferences. In our libraries and in our schools, we should take time to identify the major challenges that we face. Rather than try to “fix” them all at once, we should select the one(s) we want to focus on and think beyond just the next steps or even the “research-based” strategies that we always turn to. While these are certainly things to consider, we should also give ourselves permission to dream and create something entirely new that we build together as we go. It should be a solution that truly matches the needs of the learners involved and pierces to the root of the challenge. We should never feel done. 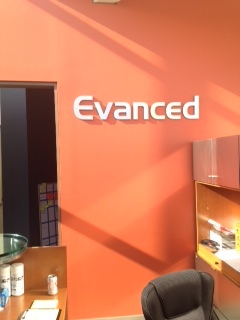 I could tell that Evanced is the kind of company that doesn’t put out a product and say “This is it. Take it or leave it.” They constantly listen, fine tune, and add new features that respond to the needs of the users. Isn’t that what we should be doing in our libraries and schools? We are never done. Our day ended with “Our Whys”. We each took time to reflect on why we do the work that we do in school libraries. It was a mixture of the #whylib conversations that took Twitter by storm in April and a series of short TED Talks. It was very intimidating to me to go last during this sharing because I was blown away by the whys that my colleagues shared. Our whys included keeping students at the heart of what we do, empowering student voices in the global community, creating a participatory culture that gives all students an opportunity to contribute, and listening to each student that enters our doors and allowing the library to be a home within our buildings. If these statements had been recorded, I think I would listen to them every day on the way to work to frame my day. We each need to be able to share our “why”. It reminds us why we come to work every day. It focuses the hundreds of decisions that we make on a daily basis. Again, we need to share the work that we do within our libraries and within that sharing we need to embed our why. 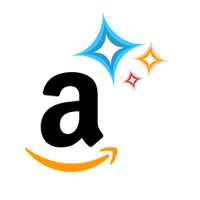 It needs to shine through in the successes and the failures that we share. When it does, it becomes one of our greatest advocacy tools. 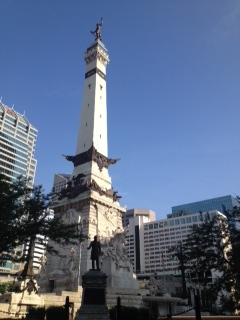 I went to Indiana thinking that I was just going to give a company feedback to improve a tool that they had created and get to hangout with some of my closest professional learning network. However, I realized that this was much more. This was about thinking big, dreaming big, and (since I’m Googlified) solving for X through moonshot thinking. The people at Evanced are listening. They are dreaming. They are searching for solutions to some of our biggest challenges. This was such a rewarding experience, and I’m thankful to all of the people at Evanced for this opportunity. I look forward to many more conversations in the future. 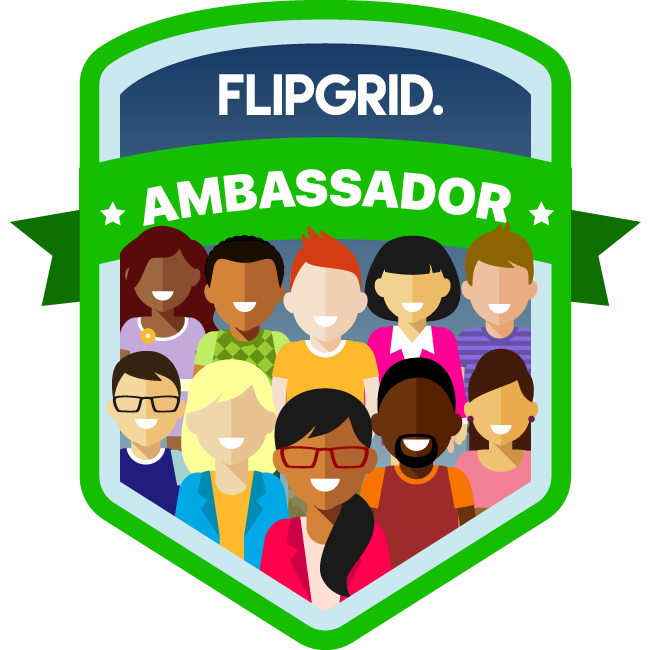 This entry was posted in Advocacy, technology and tagged achievement gap, design thinking, Evanced Kids, Evanced Solutions, genome, landscape, librarianship, moonshot thinking, professional learning, readers advisory, reading interests, solutions, wandoo planet, Wandoo Reader.